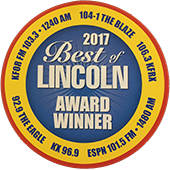 People in Lincoln call Andy’s Appliance Repair for exceptional kitchen, laundry and ice making appliance repair. With over 45 years of experience delivering appliance service and replacement parts on models old and new, we’ve been around the block long enough to have a solid understanding of what it takes to get the job done in an affordable and timely fashion. 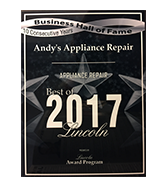 Andy’s Appliance Repair & Parts House is factory-trained and authorized to provide affordable Miele appliance repair to the folks of Lincoln. We keep our skills sharp and current by training on new Miele products and with new technology. So, if you are in need of domestic appliance repair on appliances like ovens, ice makers, dishwashers, fridges, washing machines, dryers, warming drawers, wine coolers and more, Andy’s Appliance Repair represents an ideal blend of quality and value. We don’t charge you an arm and a leg to get the job done the right way. 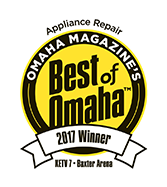 We’ve been serving Lincoln, Omaha and beyond with quality kitchen and laundry appliance repair for over 45 years, so it’s safe to say we have an understanding of what this industry demands. You can schedule your appointment online and we will come out to you within the same day if not the next! Miele is a German manufacturer of high-end domestic appliances and commercial equipment, headquartered in Gutersloh, Germany. Founded in 1899 by Carl Miele and Reinhard Zinkann has always been and continues to be, family owned and run company. Today, Miele produces domestic appliances including laundry appliances, vacuum cleaners, dishwashers, built-in convection, steam and speed ovens, hobs (cooker hoods and cook tops), free-standing and built-in-refrigerators, freezers , and win coolers and coffee systems. The company also produces commercial laundry equipment including wet cleaning machines, lab glassware washers, and a number of other medical washing applications. Miele exports their products to 47 countries around the world. Miele’s slogan in German is immer besser which literally translates to “constantly improving”. That mentally can be seen in some of the new innovations that Miele has designed into some of their new kitchen and laundry appliances. Innovations such as InfoControl Plus which allows users to check on the status of appliances throughout the home by calling up the the app on your smart phone. Appliances can be monitored for remaining time, select mode or turn the appliances on or off, all remotely from anywhere outside of the home. Or, the new G 6000 dishwasher that requires less than an hour for an A-rated wash cycle, the new Dialog oven that uses electromagnetic waves that respond to the texture of food in an intelligent manner. Meat is cooked more uniformly, retaining its juices, dough rises better, fish and vegetables keep their fine structure and all 70% faster than using conventional cooking methods. In 2007, Miele was given an award for being the most successful company in Germany that year, beating the previous year’s winner Google, which placed second and Porsche, which came in third. Miele was recognized as Best Company and also achieved a top-five place for Best Product Brand and Best Domestic Appliance Brand in the UK. These are just a few of many of the awards that Miele has earned for it’s impressive products and innovation. While our factory certified technicians are in your home, we conduct ourselves as a guests. Meaning, we treat your home, your property, your pets and you, with the utmost respect and courtesy. We treat you like we want to be treated. Really, we just think that’s fair. People have come to trust Andy’s Appliance service because we are reliable. We stand by our 2- hour appointment windows that we’ve made. We call the day before to confirm the date and time of the appointment and we also send a confirmation e mail with your technicians name and photo so you know who will be at your door the next day. As always, we show up on time, in a marked Andy’s van, in uniform and with a smile. All of our technicians carry computers and smart phones so they have access to all of the manufacturers technical information and are in contact with the factory engineers while the are in your home performing the repair. An example of this commitment is we won’t ring your doorbell when we come to your place, just in case there are any little ones laying down for nap time! We are dedicated to finding you a quick, affordable appliance repair solution so that you can get your busy life back on track. 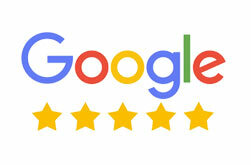 People have come to trust Andy’s Appliance service because we are reliable, we stand by our work and we get the job done right. So, next time you have an appliance that is acting up and aren’t sure what to do, give Andy’s a call and we’ll send our factory trained and certified technician to get your appliance fixed back to factory standards while working to deliver a one-of-a-kind industry leading service experience.